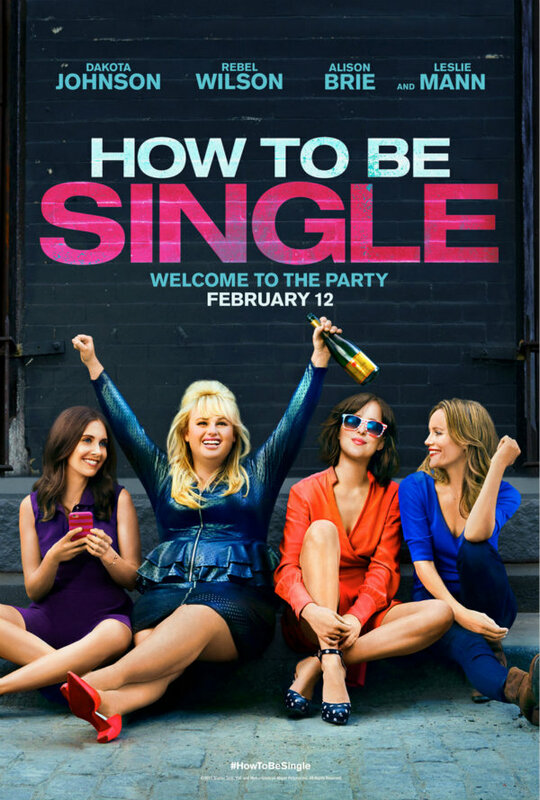 How to Be Single is a 2016 American romantic comedy film directed by Christian Ditter and written by Abby Kohn and Marc Silverstein, based on the novel of the same name by Liz Tuccillo. The font used for the film title in the poster is Helvetica Neue Bold Extended. Helvetica is a widely used grotesque sans-serif typeface developed in 1957 and influenced by the famous 19th century typeface Akzidenz-Grotesk and other German and Swiss designs. Helvetica Neue is a reworking of the typeface with a more structurally unified set of heights and widths. In addition to How to Be Single, Helvetica typeface is also used in the following logos, movie posters or album covers etc., including: Hitachi, Mad Men, Lufthansa, Farming Simulator, What Women Want, Saving Private Ryan, Captain Phillips, Target, Fendi, CVS Health, American Apparel, Project Gotham Racing, America’s Next Top Model, Bendix, Jackass.